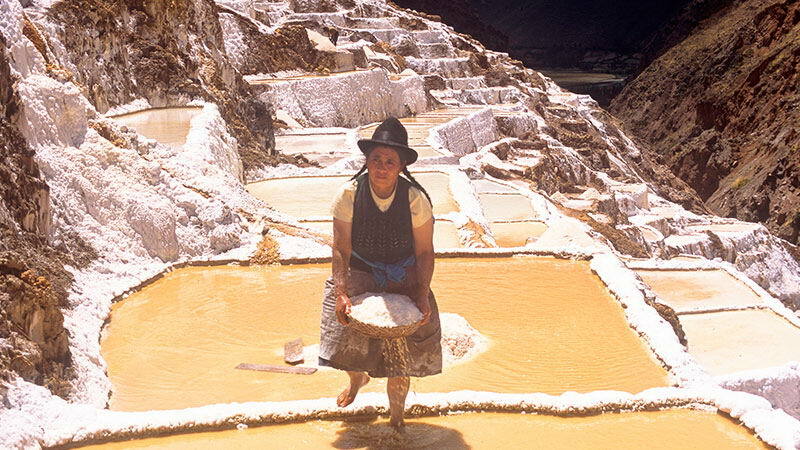 The salt mines, or the famous "salt pools" of Maras are located in the rural community of Pichingoto. This site is highly recommended for photography lovers because of its impressive landscape that stretches out in all of its splendor. 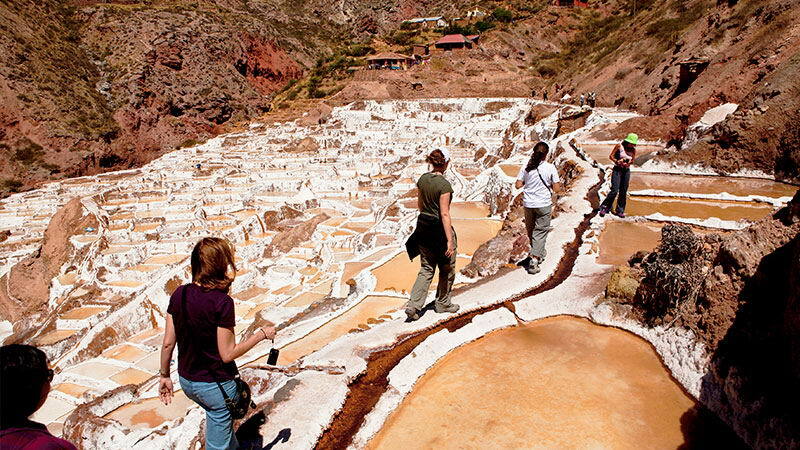 It is also perfect for hikers and mountain bikers, since this trail connects the salt mines with the villages of Tarabamba and Pichingoto. Highlights of this area include the Moray archaeological site, a sort of amphitheater formed of various circular terraces. Also worth visiting is the Sanctuary of Tiobamaba, a colonial church built of adobe that houses paintings from Cusco such as The Last Supper. 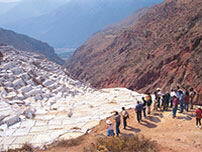 the Maras Salt Mines have an entrance fee of S/.10.00 soles. Altitude: 9,934 feet above sea level. Distance from the city: 30 miles. 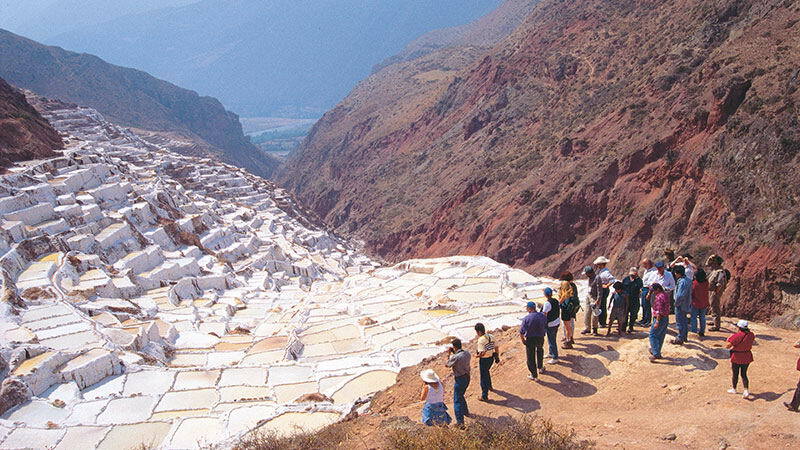 The Cerro Sacro, in Maras, offers world-class hang-gliding and para-gliding. 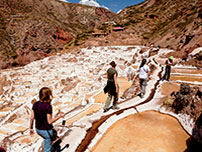 Here, adventure lovers can fly between 10,000 and 13,000 feet above sea level. You can also sail through the heavens in hot-air balloons, taking in the spectacular vistas. 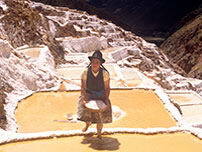 Near the Maras salt mines is a very interesting biking route that descends to the Urubamba Valley.